Can you say, "Viva Las Vegas?" The bright light city sets your soul on fire in a fabulous wedding worthy of the King himself. 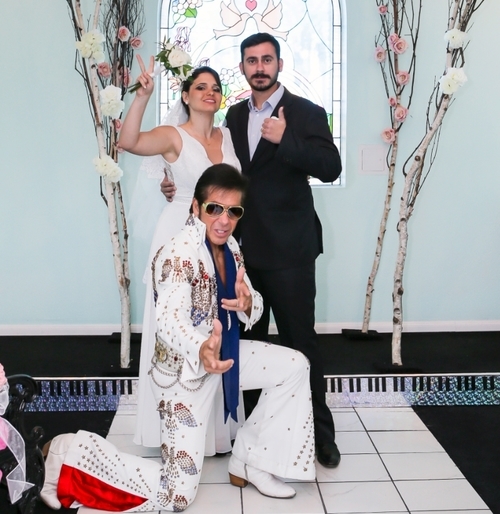 Choose from several packages, each including your choice of live Elvis songs, a copy of Elvis and Priscilla's marriage certificate, and professional photos to capture it all. Get picked up from your Vegas hotel and try not to get all shook up as you travel to the chapel. 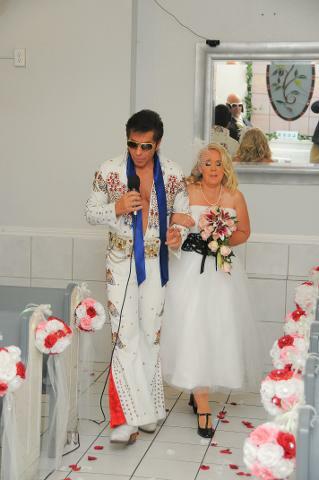 Depending on your package, you may choose to have Elvis himself walk you down the aisle, or even officiate. The singer with a burning love even croons a few of your chosen favorites as part of the ceremony. Wise men say, "only fools rush in," but if you can't help falling in love, why wait? 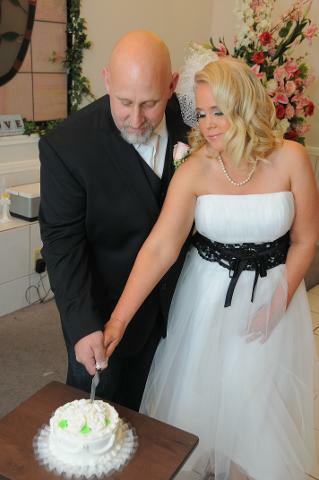 It's now or never—have the wedding of your dreams today.